Comment: I need additional insulation in my attic to ready it for a energy efficient furnace. Comment: The attic currently has minimal fiberglass batting that is old. I would like to eventually complete an attic renovation and turn it into livable space. Getting proper spray foam insulation (not sure about open cell or closed cell) in the attic is step one in the process. 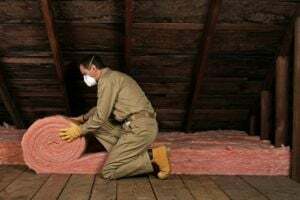 Comment: I am interesting in getting spray foam insulation at my home: attic and a room over a garage (floor) and last into the exterior walls. This property has two roofs. It is the second smaller roof that needs to be insulated.The home was built in 1982. Comment: Just purchased home, need to insulate area that has been abated for mold. Bethel Insulation Contractors are rated 4.81 out of 5 based on 202 reviews of 14 pros. Not Looking for Insulation Contractors in Bethel, CT?